It was 1972 when one of the most historic hockey events ever took place. A team of Canadian born NHLers took on a squad of Russia’s hockey stars in an eight-game series that would change how the world looked at hockey and how the game would be played in the future. Dennis was great! Everyone was very impressed with him and we were all very entertained. One of the nice things I noticed about Dennis too, was at our meet-and-greet just prior to the event, he was very interested in everyone there. He took the time to ask who they were, what they did and some other questions to try and get to know them. I thought that was very respectful and classy. I would definitely recommend him to someone else. Mr Hull is the epitome of grace and elegance and kindness . He is brilliant and admirable. He was a huge hit at the dinner, signed autographs, took selfies, did a shoot with the players on the team for the local paper and he even auctioned off the two hull jerseys we had. He was so thoughtful and generous with his time and such a wonderful and witty speaker! Can't say enough about him and his generosity! Your presentation was a tremendous part of our event. The audience certainly enjoyed your clever anecdotes and tremendous sense of humour. He had the audience in continuous laughter. an absolute delight to have at our celebration. His mixture of history, hockey and humour was incredible. We had about 90 people in attendance and I only heard positive comments and I think over 20 people purchased his book! ... It couldn’t have gone better! It was 1972 when one of the most historic hockey events ever took place. A team of Canadian born NHLers took on a squad of Russia’s hockey stars in an eight-game series that would change how the world looked at hockey and how the game would be played in the future. Canada won the “Summit Series” as they captured four victories over the Russians against three losses and one tie. Dennis Hull, a proud member of the Chicago Blackhawks back in 1972, was a key player on Canada’s victorious team. Today, he’ll readily admit to not being anything other than Bobby Hull’s brother, as long as you add he’s the younger brother. He’s even been known to answer when someone asks for Brett Hull’s uncle. Though he’s a self-effacing brother, and proud uncle, Dennis Hull takes a back seat to no one on the speakers’ podium. Many of his peers consider Dennis to be one of the top after-dinner entertainers in North America. And his hockey career wasn’t all that bad either. Fourteen NHL campaigns, over three hundred regular season goals and six selections to the All Star team are testament to his hockey skills. 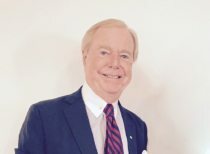 Following his retirement in 1978, Dennis returned to St. Catherines, Ontario to earn his degree at Brock University.